Try on this all black pre-tied bowtie, handmade by Cantucci. Using pure silk selected in Italy, your newest accessory will be perfect to sport to fancy occasions where you need to look your best. 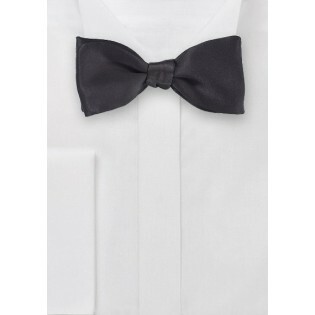 This is a must-have bowtie for any gentleman and the go-to choice when attending a formal event. Pair this piece with ease by pairing it alongside a classic black suit and a well-fitted button up in white. Your formal look will impress your date and make her smile. 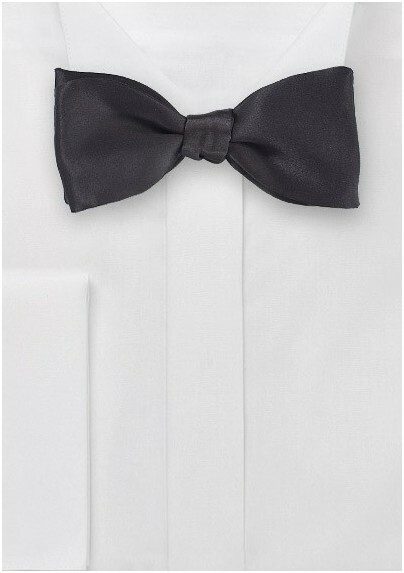 Bow Tie Style: Self-Tied, Size: 2.5" Spread. One size fits all.